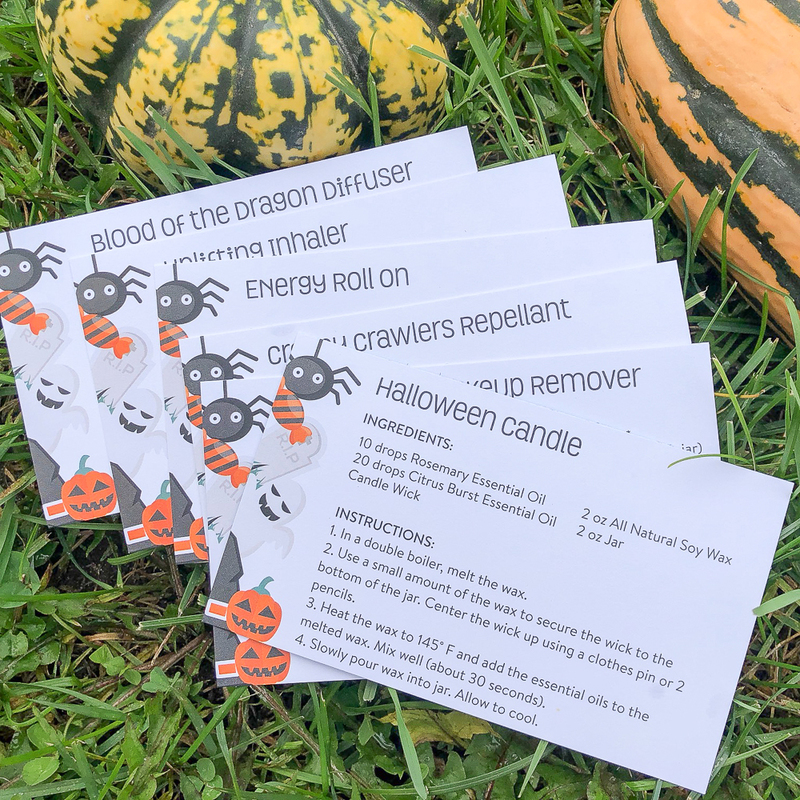 Do you remember how cute the Halloween themed Simply Earth Essential Oil Recipe Box was last year? This year’s is equally unique! 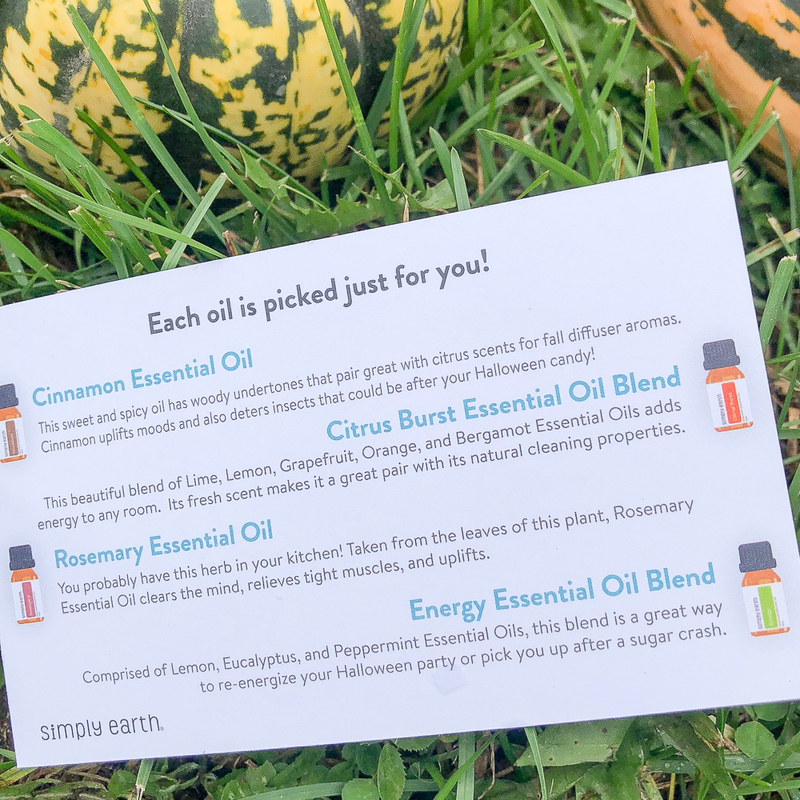 Before I get in to what you’ll find in this year’s box, let me give you an overview of the Essential Oil Recipe Box from Simply Earth. Each month you get all the ingredients, containers, and extras you need to make 6 natural recipes with essential oils including FOUR FULL SIZE ESSENTIAL OILS! All Essential Oil Recipe Boxes have a fun theme (anything from natural cleaning to at home spa products). The Essential Oil Recipe Box is just $39 and always ships for free. Be sure to grab the promo code from the bottom of this post for extra goodies with your first box. Like I mentioned, this month’s theme is Halloween and there are six fun recipes waiting for you in the box. I always look for the diffuser recipe card right away and get my diffuser going while I got through the rest of the box. 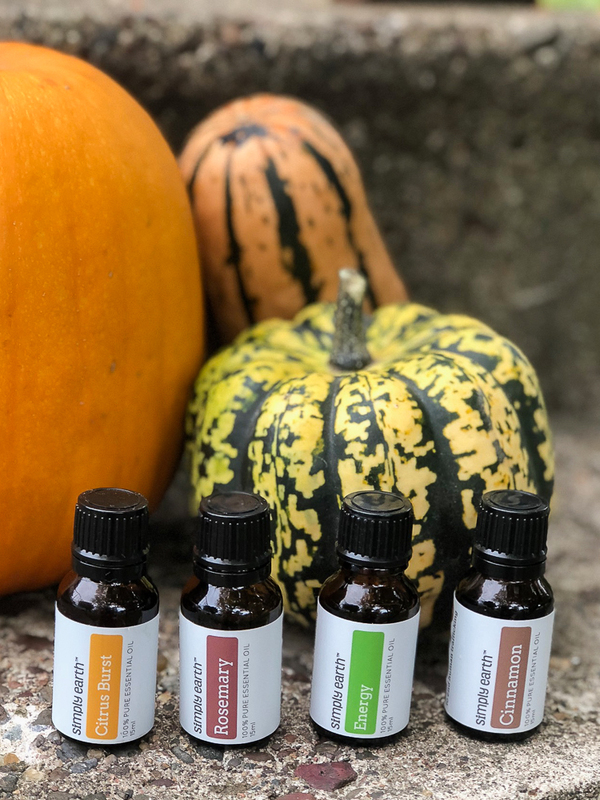 The ‘Blood of the Dragon’ diffuser blend from this month is all about setting a positive and energizing mood for your halloween party or trick or treating night! I think I am most excited about the homemade halloween candle recipe. The box even includes the soy wax and wood wick needed! The post contains affiliate links. We may earn a commission if you make a purchase through any links in this post. 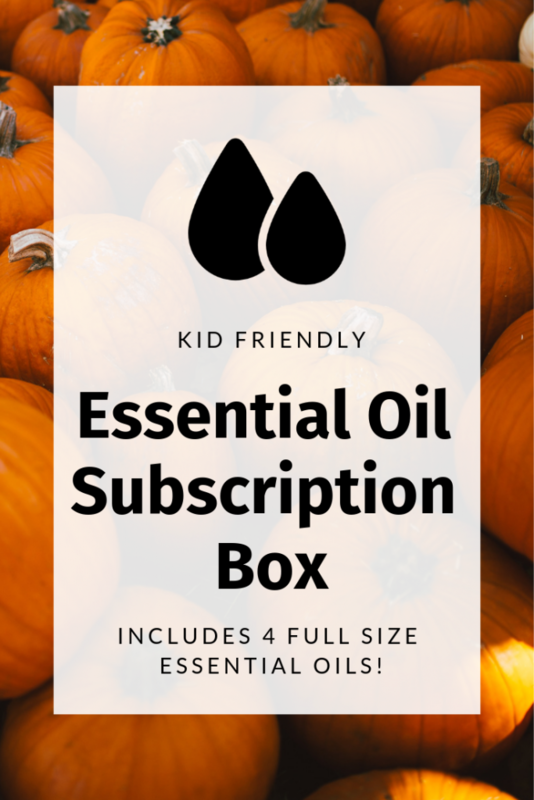 The candle recipe is exactly why I love these essential oil subscription boxes. I’ve always wanted to make my own essential oil soy candles but never knew how to get started. Now I am confident on the method so I can begin experimenting with different oil blends. Watch out friends and family, candles coming your way this holiday season! Another reason to love Simply Earth is because their a social good company. Simply Earth donates 13% of their profits to organizations committed to ending human trafficking. 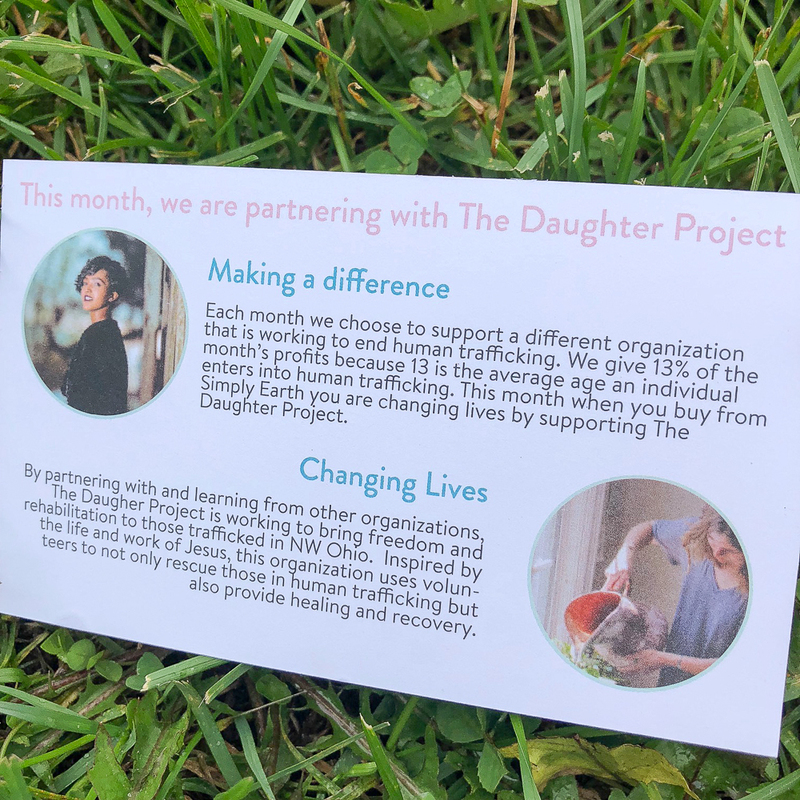 This month they are partnering with The Daughter Project. Use our code THEWILDGUTFREE to get a $20 gift card emailed to you after subscribing (or gifting) your first box (SUBSCRIPTION CAN BE CANCELLED ANYTIME). You’ll also receive a FREE BIG BONUS BOX containing a carrier oil, a hard oil (like shea butter), beeswax, and containers.